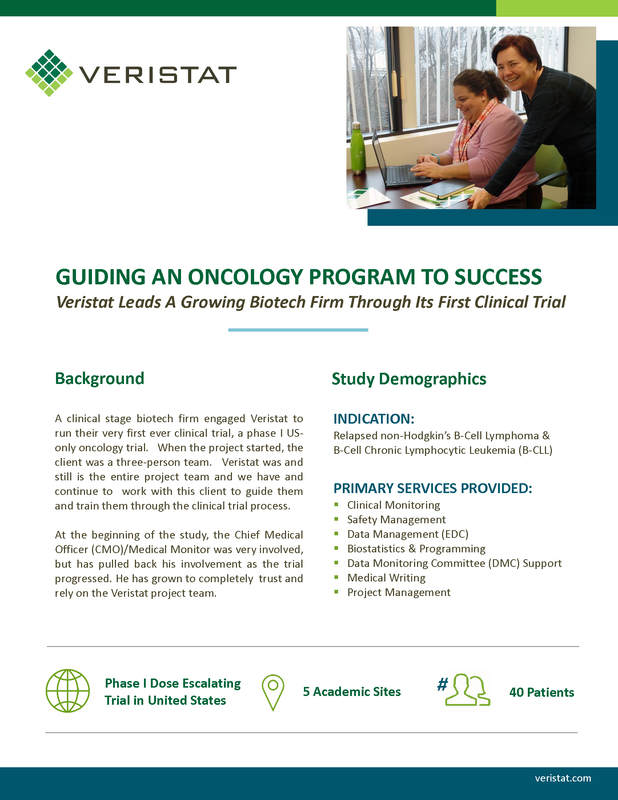 A clinical stage biotech firm engaged Veristat to run their very first ever clinical trial, a phase I US only oncology trial. When the project started, the client was a three-person team. Veristat was and still is the entire project team and we have and continue to work with this client to guide them and train them through the clinical trial process. Learn how we helped them achieve their enrollment timelines for this oncology trial by filling out the form on the right to download the case study.